She liked to watch Dynasty on TV and work with beads from the “Emerald State”, she then moved to Denver to design her jewel. Let’s have a little chat with Ida Estelle. 1. How did you have the idea to start designing jewelry? What’s your inspiration? If you have to recommend a wrap to buy for Valentine’s day, which one would it be ? I have always been a very DIY person, constantly looking for a new project to start. When I was living in California I was really inspired by the beach and the “relaxed, boho-chic” style of living there. I think that’s when my true love in leather, stone and metal came into play. 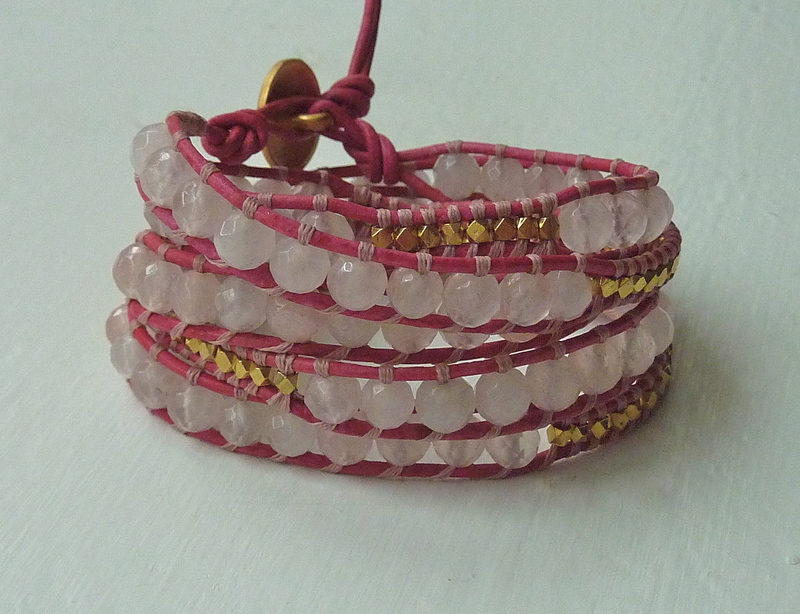 I had dabbled in making jewelry in the past…wire wrapping, friendship bracelets and necklaces…but, I was really intrigued by this new style of “wrap bracelets” I had started to see in the magazines. There were an endless amount of combinations of leather, mixed metals, and stones. Living in California, making jewelry was just a fun hobby for me to play with. When I moved to Colorado, I found that being in the mountains really set my creativity on fire and I couldn’t stop making wrap bracelets! That’s when I discovered I was an artist and designer at heart. 2. How did you pick the design and the products composing your wraps? I love the design of these wraps because they are so versatile. They can be made in so many different sizes in an endless amount of material combinations. I draw inspiration from the fact that I have lived in so many different cities, each with their own “unique vibe.” That has definitely helped me in being able to design really diverse collections. I don’t want my jewelry to be “categorized.” I want to make collections that show my past, as well as where I am now. I have always loved working with different metals, but since I have settled in Colorado, I have been working more and more with semi-precious stones and have been finding ways to work them into every new collection I design. Some of my current favorite materials to work with? Faceted turquoise, faceted opaque rose quartz, ice blue amazonite tumbled nuggets, smooth african opal and faceted silver nuggets. 3. What’s the philosophy behind your wraps? I have always been a believer in supporting local business and economies and trying to “do your part” when it comes to the environment. When I started designing jewelry, I wanted to offer a quality, designer product that was responsibly made in the United States. As a designer, I source as many local materials as I can and try to keep material waste to a minimum. As a business owner, I try to always use recycled packing products and office materials and as I expand have vowed to keep my jewelry made in the USA, supporting my local economy. 4. Do you think about expanding your range of products? I constantly think about expanding my skill set and product line. 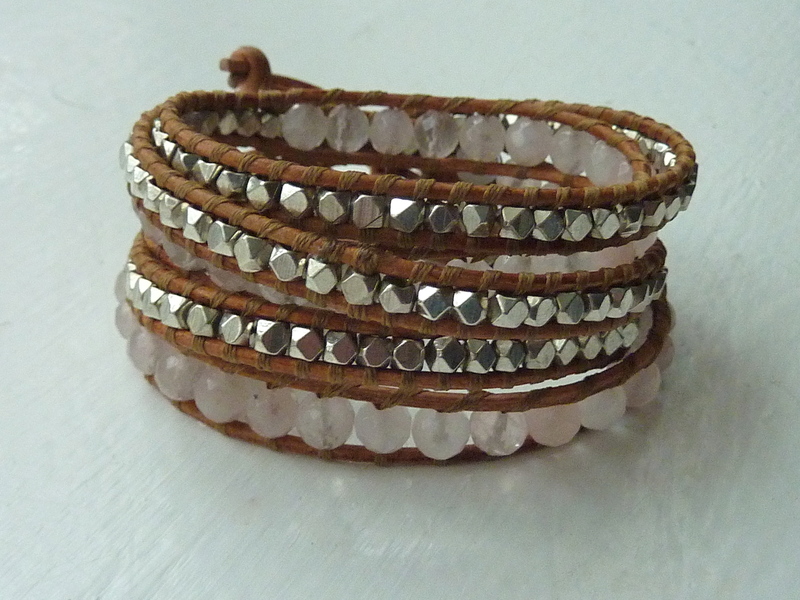 I think a logical next step for me will be to introduce some earrings and necklaces to go with my wrap bracelets. Eventually, I would love to start working more in depth with metal…in what capacity I’m not exactly sure yet. I’m taking some different classes this winter so I can pin-point what I would like to really focus on. 5. What’s your marketing strategy? Where are you distributed? How do you use new media to promote your creations? Last year, my strategy was to get as many business cards as I could out the door and into other people’s hands. That, combined with supplying my friend’s and family with free bracelets helped to spread the word about my designs. This year, my two main goals are to increase my online presence through applications like facebook, twitter and pinterest, and second, to have a larger physical presence in different retail locations…starting locally in Colorado and growing outward from there. The online marketing is a new challenge to me…I didn’t have a personal facebook account until a year ago, so I’ve definitely had to readjust how I think about the web when I started a “page” for my business, tweeting about it and starting a pinterest page to show my wonderful followers and friend’s what inspires me. Introducing my collections into retail locations has been a little easier for me. I now have my bracelets in a retail location in Telluride, CO that promotes local Colorado based businesses and have a few more retail accounts on the books for spring. Very exciting! My recommendation for a great wrap to buy for Valentine’s day? I have two new limited edition wraps just for that occasion! ← No water drips on you beloved phone ! 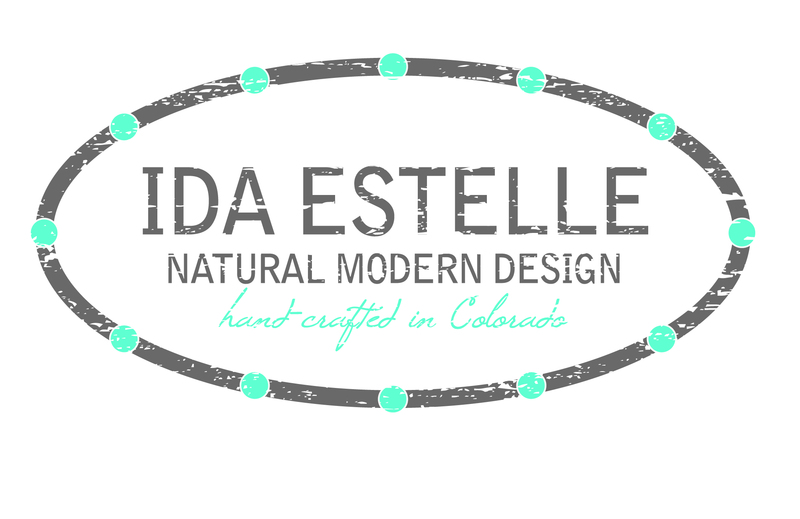 I love love love Ida Estelle Jewelery! I think its so awesome that Chase it or B Chased discovered this amazing brand! Im serious….Congrats on a great find and I totally reccomend CHASING Ida Estelle! COME ON!!! !